What began as a simple how-to article about making gears has turned into a major project article for Make Magazine and at last is published in volume 21. 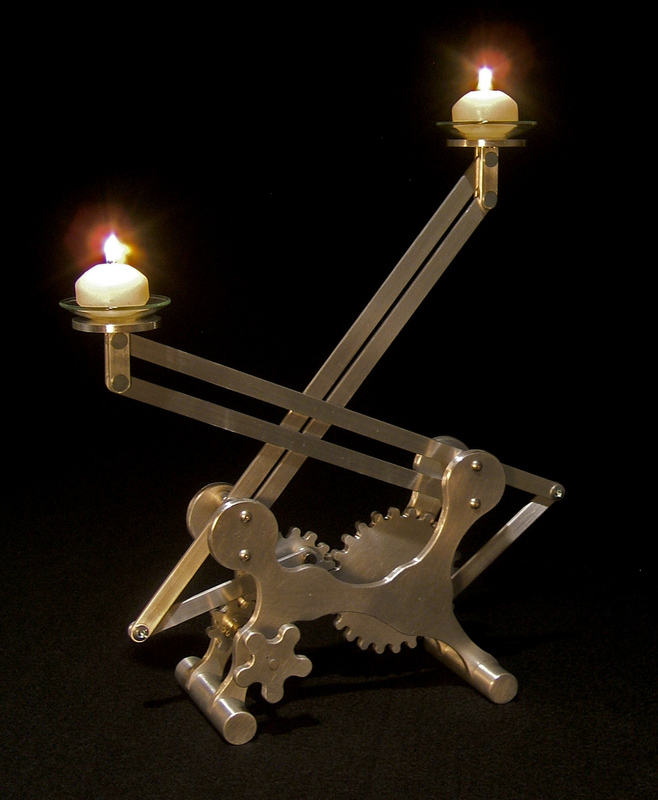 The project is candleholder with three gears and parallel action arms which move the candles up and down at different rates. In many ways, it is similar to my first candleholder, but this one is made from aluminum plate and uses tea lights or small floating candles. 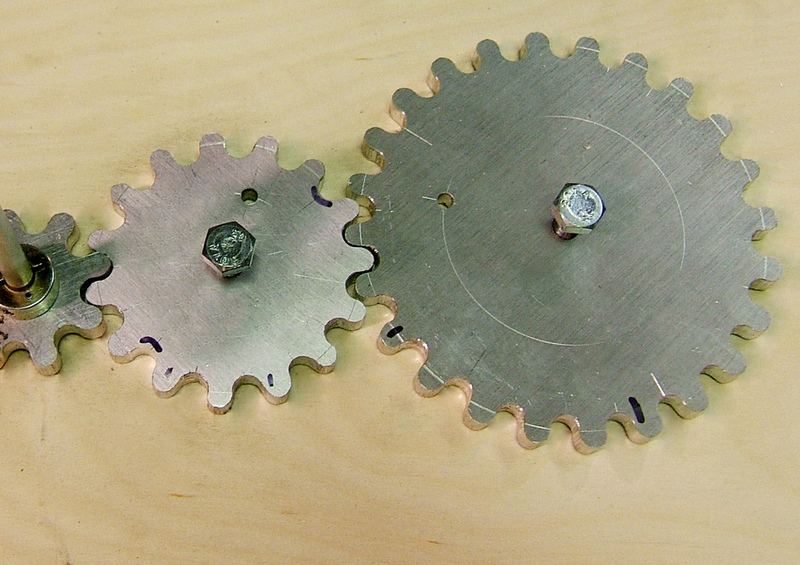 The design and the variable gearing also make it a more playful device. On the project page here, I have posted all the images from the construction process (many more than in the published article) as well as some additional charts and diagrams which can supplement the material in the article. Hopefully these materials can help out with some of the more tricky parts of the project. If you have any questions, want a CAD file, or would like to share photos of you project, send me an email!